Avon Tyres will release a successor to the phenomenally popular Storm ST family of sports-touring tyres at this year's NEC Show, later this week. The new Storm 2 Ultra builds on the performance of the Storm ST and claims to improve upon it in a number of areas. Developed from the award-winning Storm ST tyre, the new Storm 2 Ultra clais to offer even more mileage and improved grip in all weathers and road conditions. Avon claim the multi-compound Super Rich Silica (SRS) treads give rear tyres an extra 12% mileage over the original Storm ST, and that changes incorporated in the zero-degree belting system, and modifications to the dynamic stresses within the carcass itself have increased grip in both wet and dry conditions, while also enhancing the handling and overall ride comfort. 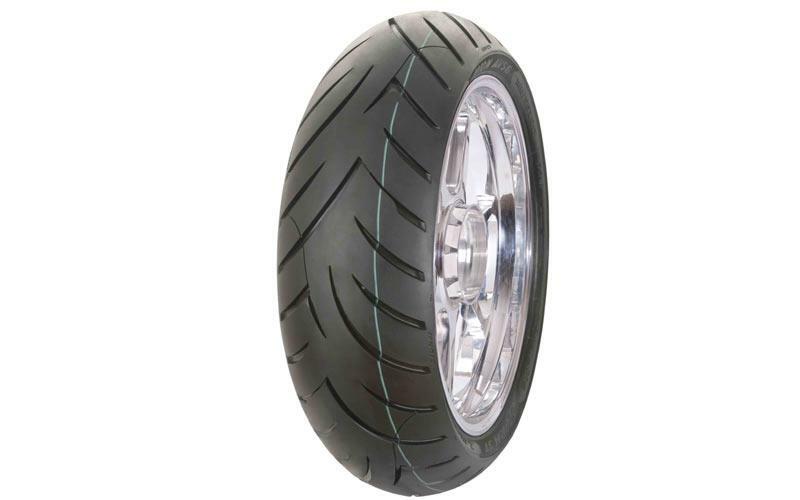 The current Storm ST tyre has recently won praise from MCN readers in our MCN Biking Britain survey for both performance and cost effectiveness. Avon Tyres' new Storm 2 Ultra can be found at the Central Wheel stand, located in Hall 2, 2J05. Front (AV55s): 110/70ZR17, 110/80ZR18, 120/60ZR17, 120/70ZR17, 120/70ZR18 and 130/70ZR1 Rear (AV56s) include: 150/70ZR17, 150/70ZR18, 160/60ZR17, 160/70ZR17, 160/60ZR18, 170/60ZR17, 180/55ZR17, 190/50ZR17 and 200/50ZR17. MCN’s Adam Child recently travelled to Scotland to test the new Bridgestone sports-touring tyre.